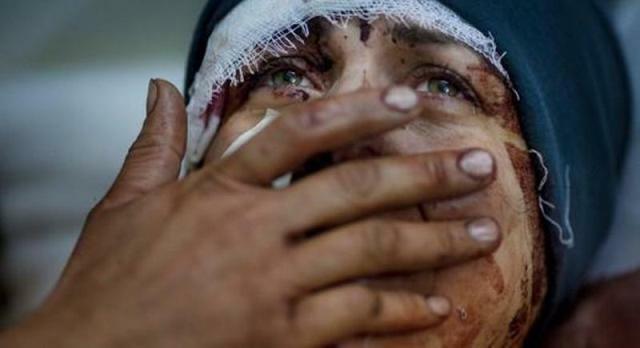 A woman in Syria being treated for severe injuries after the Syrian Army shelled her home. Her husband and two children were killed in the shelling. India has a unique and historic opportunity to help reduce the human suffering and instability caused by the reckless and poorly regulated trade in weapons, munitions and military and security equipment. An ATT without the Golden Rule will be meaningless. The treaty must also cover all conventional arms, all types of trade, transfers and transactions and have strong implementation mechanisms. Disturbingly, global society has no treaty to ensure the strict control of the international trade in conventional arms. That’s why governments can easily license irresponsible arms flows to fuel human atrocities and abuse. Thus the Amnesty says that by signing up to a “Golden Rule” in the Arms Trade Treaty, India will show that it is truly committed to ensuring the security of its own citizens and that of the world. I am writing to you as the Indian government prepares for the United Nations (UN) Negotiation Conference on the Arms Trade Treaty (ATT) in July 2012. There is an urgent need for India to support Treaty language that would prevent transfers of conventional arms to recipients where there is a substantial risk that the items will be used for violations of international human rights and humanitarian law. An ATT without this “Golden Rule” on human rights will be meaningless. Amnesty International believes that while authorisation decisions should remain a national prerogative, the ATT should require a rigorous case-by-case assessment of each application for an authorisation of an arms transfer. I hope India will play a constructive role in ensuring that the ATT is comprehensive, effective and helps ensure the protection of human rights. Be great to get some support, RT.